Yekaterinburg. West view of Ascension Hill across frozen City Pond. From left: Rastorguev-Kharitonov Mansion, bell tower of Ascension Church, Church of All Saints Resplendent in the Russian Land, Church of St. Nicholas at the Patriarchal Legation. April 1, 2017. A compact encyclopedia of dramatic events in both the city and the nation. At the beginning of the 20th century, Russian chemist and photographer Sergei Prokudin-Gorsky developed a complex process for vivid, detailed color photography. 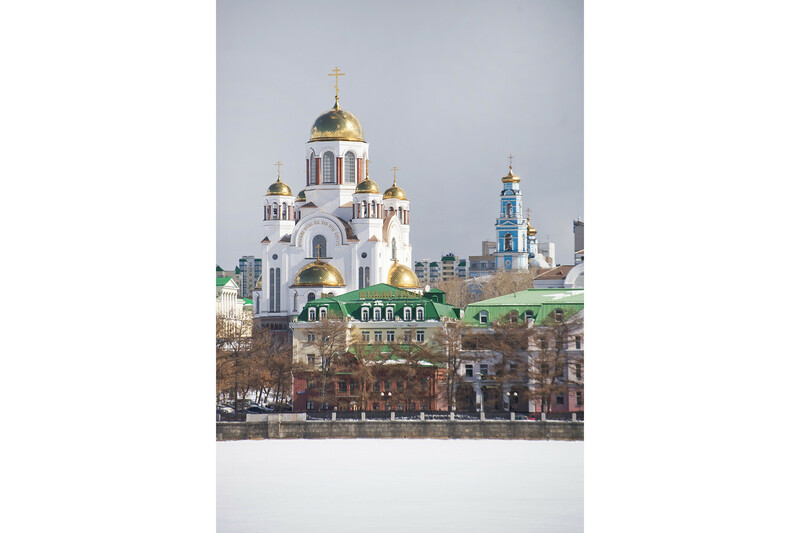 His vision of photography as a form of education and enlightenment was demonstrated with special clarity through his photographs of architectural monuments at historic sites throughout the Russian heartland. 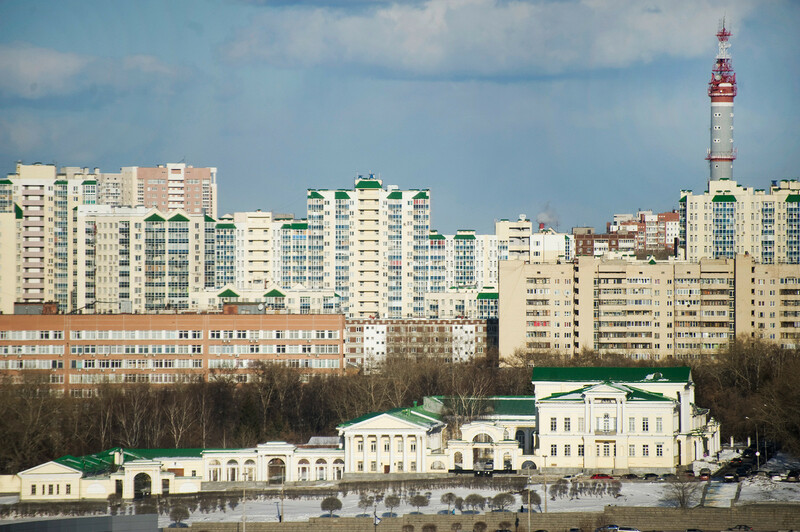 Yekaterinburg. View across City Pond toward Ascension Hill. From left: Rastorguev-Kharitonov Mansion, Ipatyev house (partially visible beneath main portico of Kharitonov Mansion), bell tower & Church of Ascension. Summer 1909. The year 1909 was particularly significant for Prokudin-Gorsky’s work. In May, Tsar Nicholas II invited the photographer to the imperial residence at Tsarskoe Selo to show his images of Russia through an elaborate projector. Following this presentation, Prokudin-Gorsky gained the support of the imperial court to continue his travels. 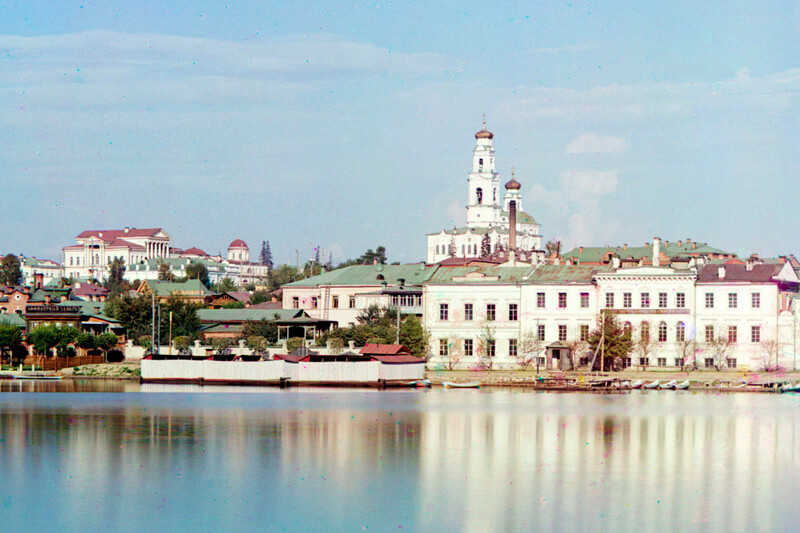 Later that summer, Prokudin-Gorsky traveled to Yekaterinburg, a major Urals industrial and administrative center (known as Sverdlovsk from 1924 to 1991) where he took several photographs that became priceless historical documents. Little did he know that one of these views included the site where Nicholas and his family would be killed nine years later. The turbulent history of that site is revealed in my photographs taken first in 1999 and then on a return visit in the spring of 2017. Yekaterinburg (“Catherine’s City”) was founded by order of Peter the Great in 1723, and named after his second wife, Catherine. Upon his death in 1725, she became the first woman to rule the Russian Empire. The original settlement on the Iset River followed a plan by the prominent historian and geographer Vasily Tatishchev and the engineer Georg Wilhelm de Gennin (Hennin). Church of the Ascension & bell tower. Southeast view. August 26, 1999. Among the many photographs that Prokudin-Gorsky took in Yekaterinburg, the most densely informative are those taken on Ascension Hill overlooking City Pond. 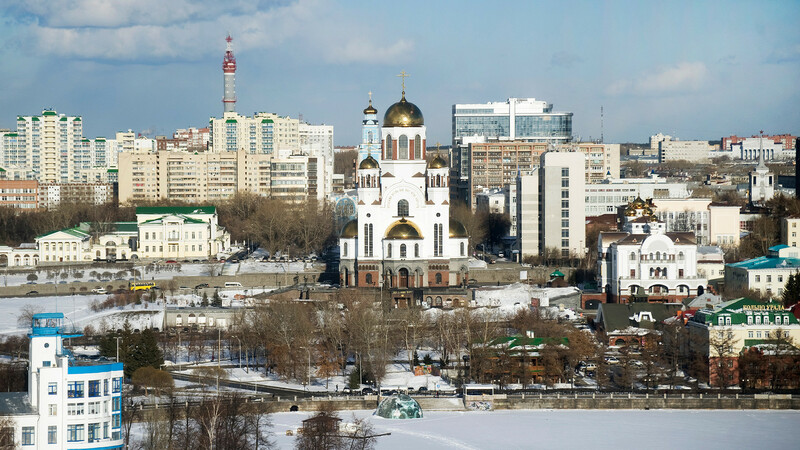 The hill takes its name from the Church of the Ascension, one of the oldest surviving monuments in Yekaterinburg. 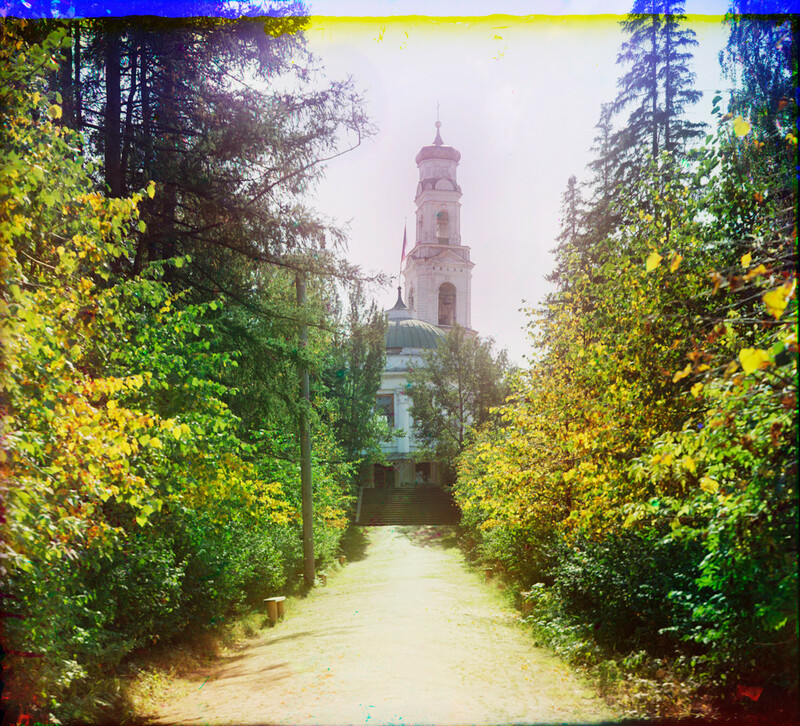 The church and its bell tower appear not only in Prokudin-Gorsky’s general photograph of Ascension Hill, but also in a more lyrical view from Kharitonov Park. Bell tower of Ascension Church, north view from Kharitonov Park. Foreground: Park Rotunda. Summer 1909. The Ascension Church design combines elements of baroque and neoclassical styles. Begun in 1792, the lower part of the church, with its altar dedicated to the Nativity of Christ, was consecrated in 1801. Work continued on the main church structure above until 1818, when the primary altar of the Ascension was consecrated. Subsequent additions included a large parish school, completed in 1888. 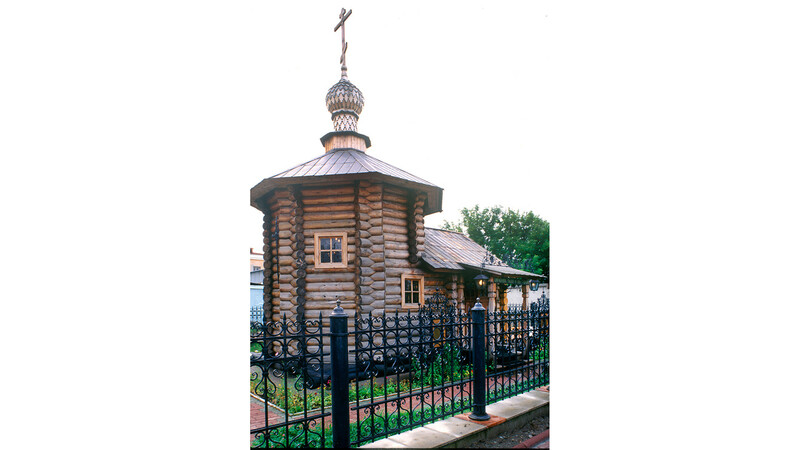 Wooden Chapel of the Martyr Elizaveta Fyodorovna. Northeast view. August 25, 1999. The main part of the church is a large cuboid structure that culminates in a mansard-like roof and a single cupola. The baroque form of the cupola is repeated on the bell tower attached to the west. The mixed design of the structure is typical of provincial church architecture at the beginning of the 19th century. Cross & temporary chapel canopy on site of Ipatyev house (now site of Church of All Saints Resplendent in the Russian Land). August 25, 1999. The center of Prokudin-Gorsky’s photograph of Ascension Hill is occupied by a group of houses. Among them was the residence of the engineer Nicholas Ipatiev, notorious as the place where Nicholas II and his family were killed in July 1918. Church of All Saints Resplendent in the Russian Land, southwest view across City Pond. Background: Bell tower of Ascension Church. April 4, 2017. Built in the late 1880s by a local official (who was subsequently accused of corruption), the house was eclectic in style. 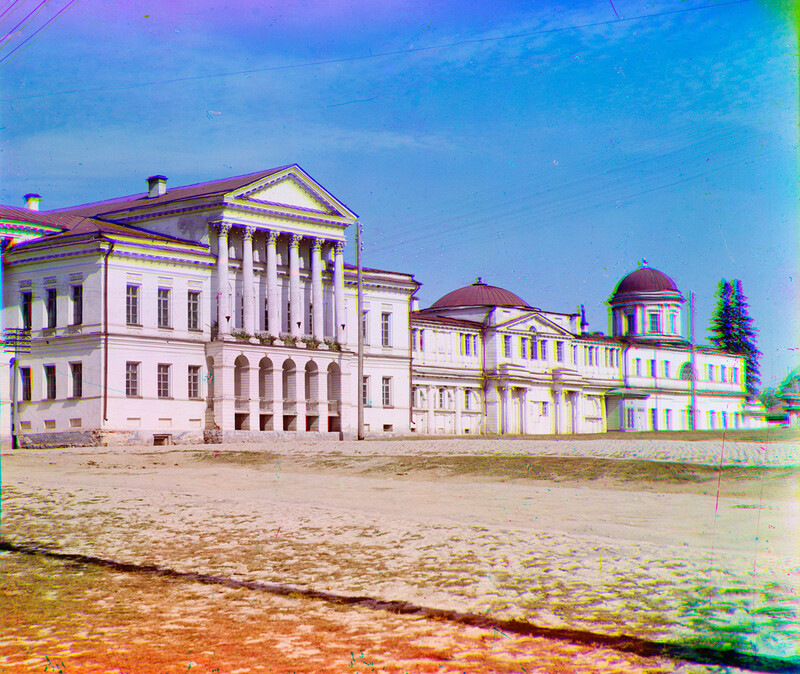 Its main, one-story façade faced east on Voznesensky (Ascension) Prospect, while the back façade – partially visible in Prokudin-Gorsky’s photograph – faced west toward City Pond and utilized the hill’s steep slope to build a lower level. In 1898 the house was acquired by a gold trader who in 1908 sold it to Nikolay Ipatiev, a military construction engineer. Ipatiev lived in the house during the chaotic revolutionary period of 1917-18 until late April 1918, when it was requisitioned by local authorities to house Nicholas II and his family. The royal family and their servants were brought to Yekaterinburg at the end of April from their almost nine-month confinement in the Siberian city of Tobolsk. Church of All Saints Resplendent in the Russian Land. 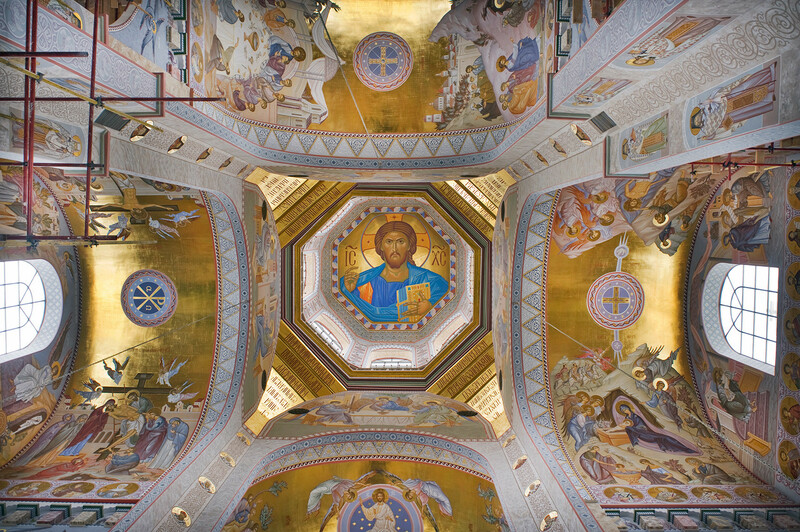 Interior with image of Christ Pantokrator in main dome. April 3, 2017. There are multiple accounts of the killing of Nicholas, his wife Alexandra and their five children, as well as their physician, Yevgeny Botkin, and three servants in the basement of the Ipatiev house on the night of July 16-17, Many details are still disputed. When White Army forces took Yekaterinburg just over a week later, Ipatiev regained his house but promptly decided to emigrate. A year later, in mid-July 1919, Yekaterinburg was retaken by the Red Army. 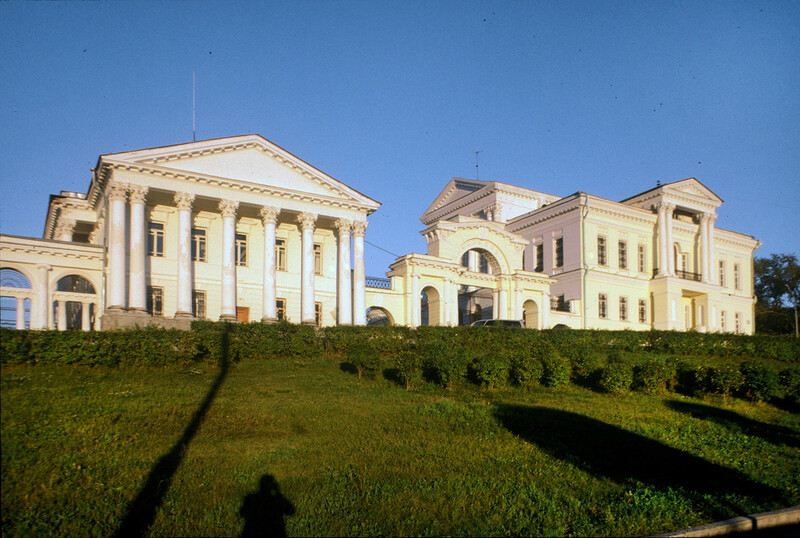 Following the reestablishment of Soviet power, the former Ipatiev house became both an archive and a museum devoted to various revolutionary topics, although the emphasis frequently changed according to political shifts. In 1974, the structure was officially declared a national historical monument. Church of All Saints Resplendent in the Russian Land. 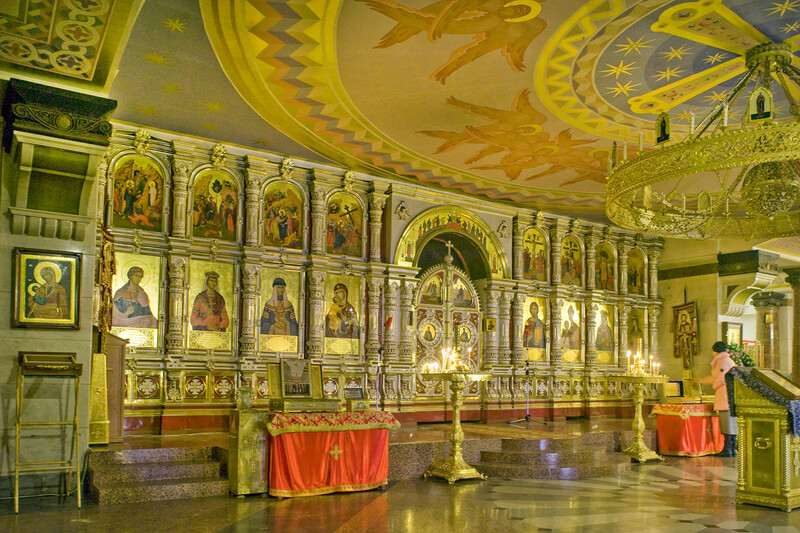 Interior view of lower church dedicated to the New Martyrs and Witnesses of the Russian Church. April 3, 2017. In 1975, however, the head of the KGB, Yuri Andropov, became increasingly concerned about attentiongiven to the Ipatiev house as a site of memory for the Romanovs. He urged the Politburo to order demolition of the structure. The Politburo obliged, but further discussions postponed the destruction until late September 1977, when the house was razed. The regional party chief at that time was Boris Yeltsin. In September 1990, local authorities transferred the property to the Russian Orthodox Church. 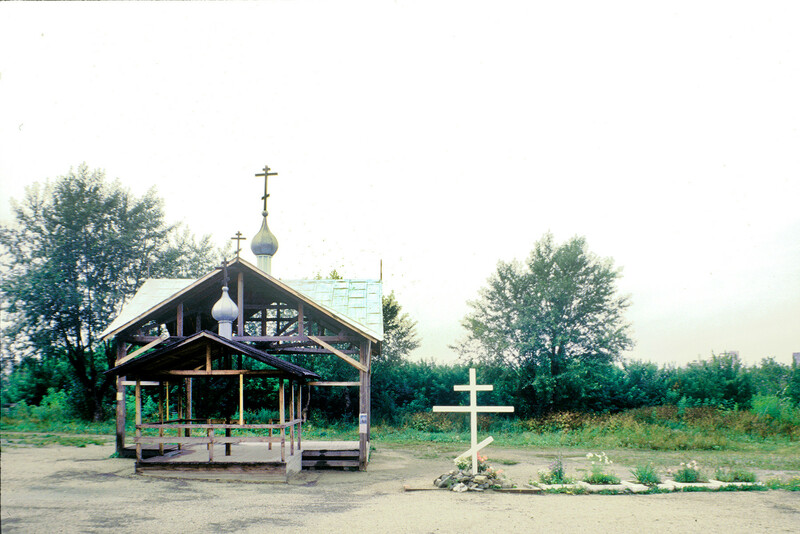 Following the dissolution of the Soviet Union at the end of 1991, a popular initiative supported by the church led to the creation of a temporary shrine at the site of the Ipatiev house. In September 1999, I photographed both the log chapel dedicated to the Martyr Princess Elizaveta Fedorovna and the New Russian Martyrs (designed by Alexander Dolgov) as well as a temporary metal canopy with a cross. Designs for a permanent shrine were published in 1998. In 2000, construction began on a complex centered on the Church of All Saints Resplendent in the Russian Land – also known as the “Temple on the Blood" (Khram nakrovi) – which was consecrated in 2003. Work on the vast interior of the church was still in progress when I photographed it in April 2017. Rastorguev-Kharitonov Mansion, main facade. Summer 1909. The altar on the lower level, dedicated to the New Martyrs and Witnesses of the Russia Church, overlaps on its north side with the basement where the Romanov family was killed. Services are held daily in their memory. Rastorguev-Kharitonov Mansion, main facade. August 26, 1999. After Rastorguev’s death in 1823, the mansion was inherited by his son-in-law, Peter Kharitonov; but each owner lived under a cloud of controversy. For cruel treatment of his factory workers, Kharitonov was exiled in 1837 to distant Finland, where he died the following year. Eventually the mansion passed to the state for lack of agreement among the heirs. In 1937 the complex was converted into a Palace of Young Pioneers, a function that it maintained even after the demise of Soviet power. 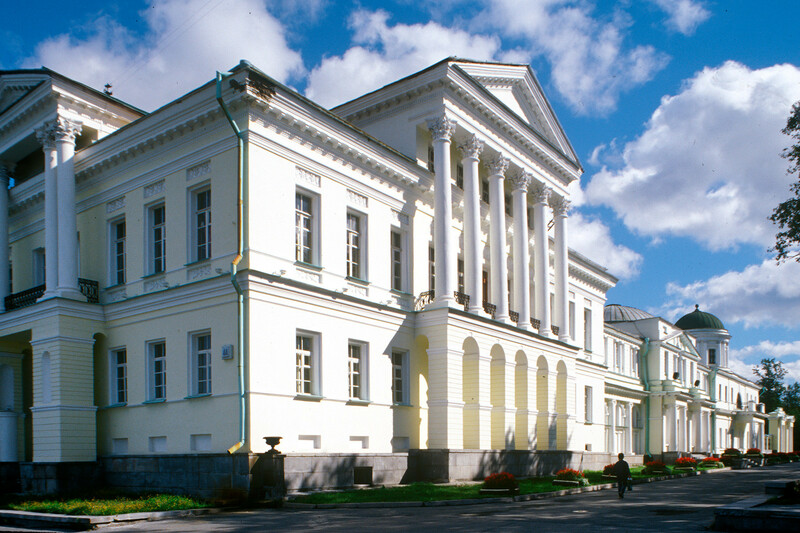 Begun in 1794, the main structure of the Rostorguev-Kharitonov mansion was expanded with various attached wings, whose construction continued until 1824, the year Tsar Alexander I visited Yekaterinburg and stayed at the palatial edifice. Although documentary evidence on the authorship of the mansion is incomplete, its design is attributed variously to Tomaso Adamini (who worked with the renowned architect Giacomo Quarenghi in St. Petersburg) and to the prominent local architect Mikhail Malakhov. Rastorguev-Kharitonov Mansion, side facade. View from Karl Liebknecht Street. August 27, 1999. Its main facade, with a hexastyle Corinthian portico, overlooks Ascension Square, which extends to the tall Ascension Church bell tower. Even more distinctive is the mansion’s side facade, which follows a gently sloping incline down the hill at the edge of Ascension Square. This side elevation impressively combines a series of forms that include: the side facade of the mansion with its special portico; a temple-like Corinthian portico and pediment masking a wing attached to the back of the main house; and a large, framed gateway. Together, these elements create a sense of a classically inspired “acropolis” along the brow of the hill. There is nothing else quite like it in Russia. The entire ensemble in relation to its physical setting is captured in my photograph from a tall building across City Pond. Although much changed, the architecture of Ascension Hill, recorded in Prokudin-Gorsky’s photographs and mine taken several decades later, represents a compact encyclopedia of the dramatic – at times tragic – history not only of Yekaterinburg but of Russia itself. Rastorguev-Kharitonov Mansion. Side facade with high-rise apartment buildings in background. April 1, 2017. In the early 20th century the Russian photographer Sergei Prokudin-Gorsky devised a complex process for color photography. Between 1903 and 1916 he traveled through the Russian Empire and took over 2,000 photographs with the process, which involved three exposures on a glass plate. In August 1918, he left Russia and ultimately resettled in France with a large part of his collection of glass negatives. After his death in Paris in 1944, his heirs sold the collection to the Library of Congress. In the early 21st century the Library digitized the Prokudin-Gorsky Collection and made it freely available to the global public. A number of Russian websites now have versions of the collection. In 1986 the architectural historian and photographer William Brumfield organized the first exhibit of Prokudin-Gorsky photographs at the Library of Congress. Over a period of work in Russia beginning in 1970, Brumfield has photographed most of the sites visited by Prokudin-Gorsky. 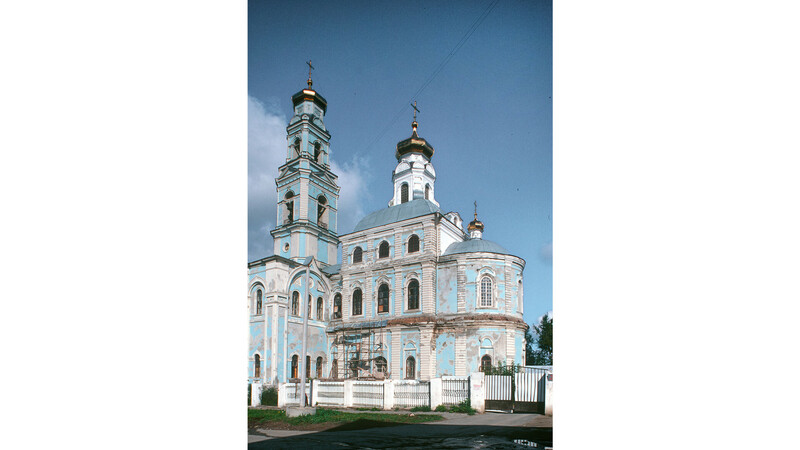 This series of articles will juxtapose Prokudin-Gorsky’s views of architectural monuments with photographs taken by Brumfield decades later.